My first change was the flour. Instead of two cups of all purpose. I used 1 1/3 cups of whole wheat white and 2/3 of a cup of wheat germ. 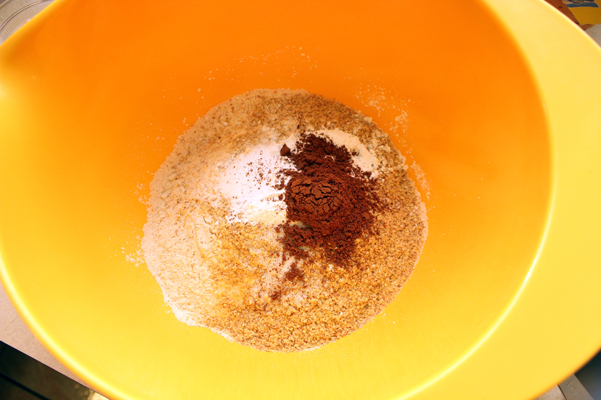 Baking powder, baking soda, and salt were added along with a full teaspoon of cinnamon, doubling what was in the recipe. I’d put off my tea decision for a bit but it was time to make the call. I wavered. I waffled. And then I decided to stay with the classic black tea, until I had a handle on this bread and what it was all about. My tea of choice, since I was a tween, is Twinings English Breakfast tea, and I defy you to find anything better. I was supposed to mix it with the milk first before adding anything else, but I accidentally put the honey in too, and whisked right away, since it wasn’t like I could just remove it. I added the egg and vanilla bean paste, then combined oil with yogurt (instead of just using oil) and whisked it all together. 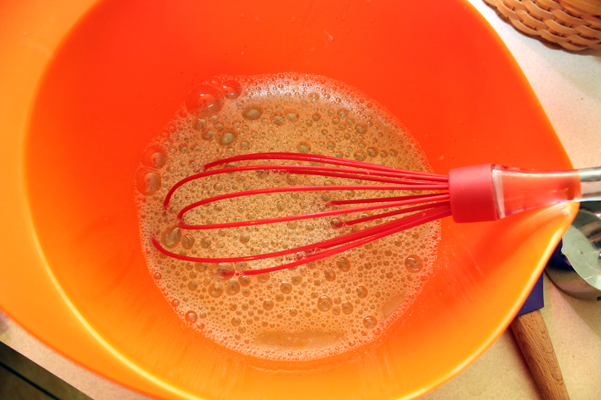 I poured that into the first bowl, and stirred the ingredients together gently. I added the freshly grated ginger, opting to reduce the amount to a half teaspoon. 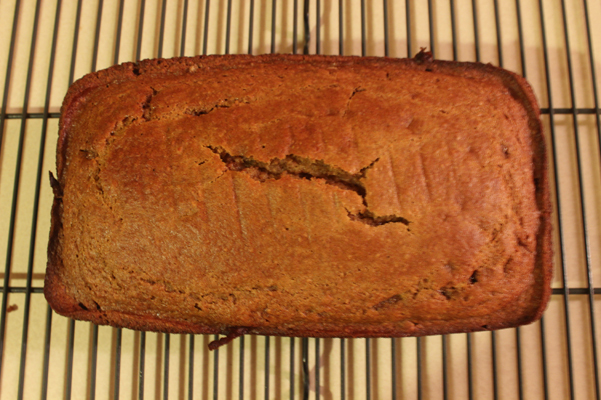 (Is it embarrassing to admit that this is the first thing I’ve baked with fresh ginger instead of dry? I think so.) 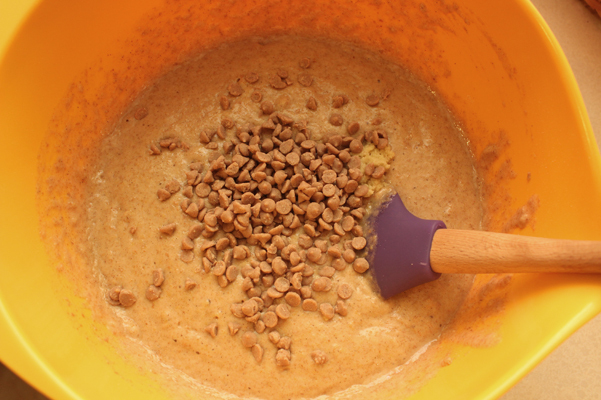 And instead of using dried fruit or nuts, I threw in two tablespoons of mini cinnamon chips. 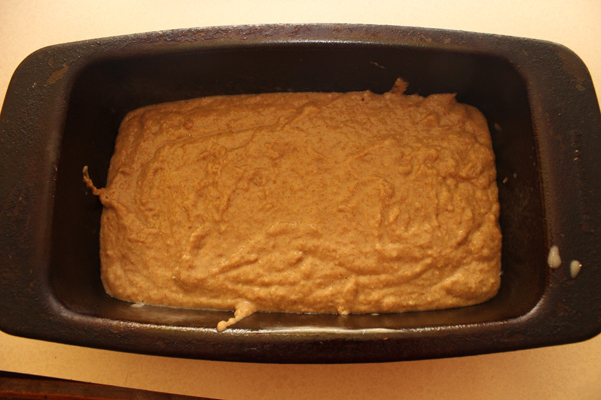 I folded them in and poured the whole delicious mixture into a loaf pan. 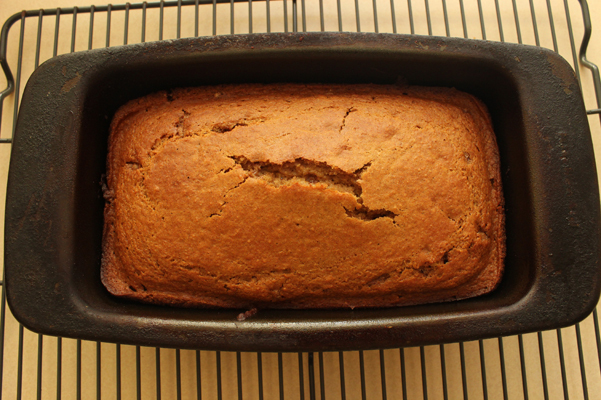 The recipe suggested baking for 45-50 minutes, but I checked mine at 40 and it was done, with that nice crack along the top. Maybe you’re not supposed to like having a crack across the top, but I do. I gave it another ten minutes in the pan, then flipped it out onto a wire rack. 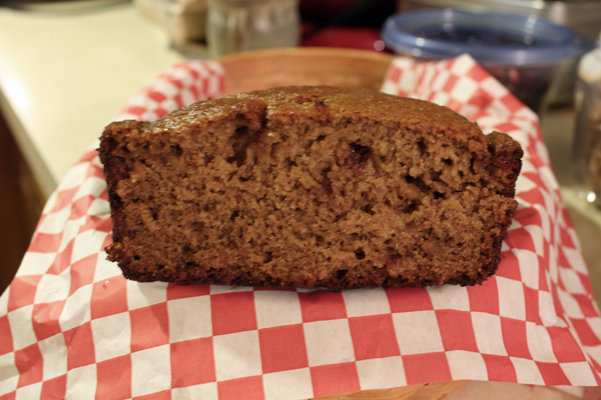 This tea bread is phenomenal. I’m not sure this makes sense, but the crumb is like silk, it’s just so soft. The sweetness coming from honey instead of sugar, combined with the tea (which I steeped for a good long time) gives it great depth of flavor, elevated by the cinnamon and ginger which support the tea flavor without standing out too much on their own. And the mini cinnamon chips actually melted right into the bread, so you get the little bursts of them without the hard texture, nothing disturbs the softness of the bread’s perfect texture. Heat oven to 350 and grease or spray a 9 x 5” loaf pan. 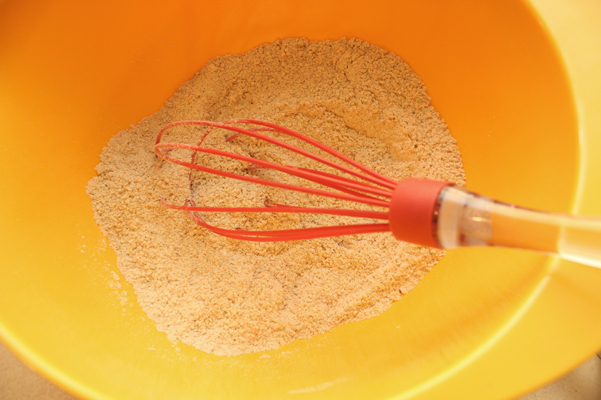 In a large bowl, whisk together the flour, wheat germ, baking powder, baking soda, salt, and cinnamon. 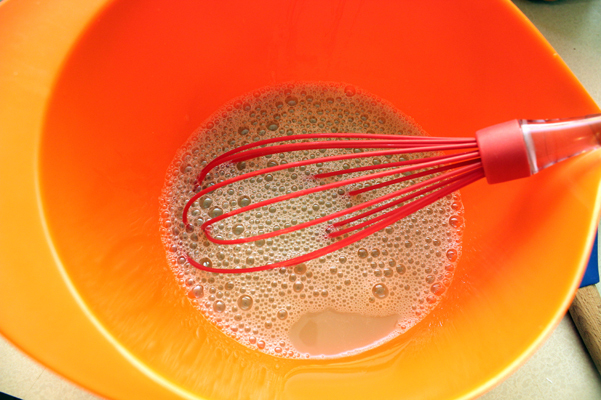 In a separate bowl, whisk together the milk and tea. 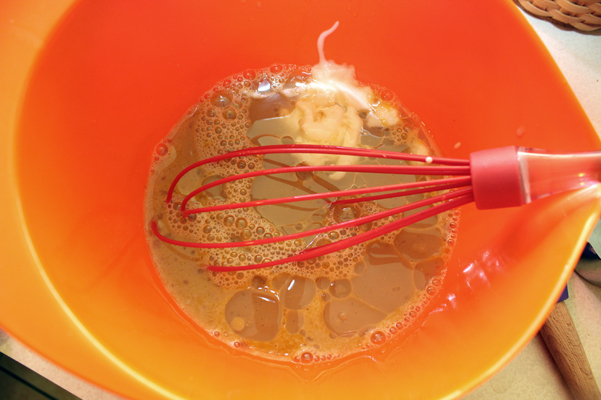 Add the egg, honey, canola oil, yogurt, and vanilla and whisk briskly until thoroughly combined. 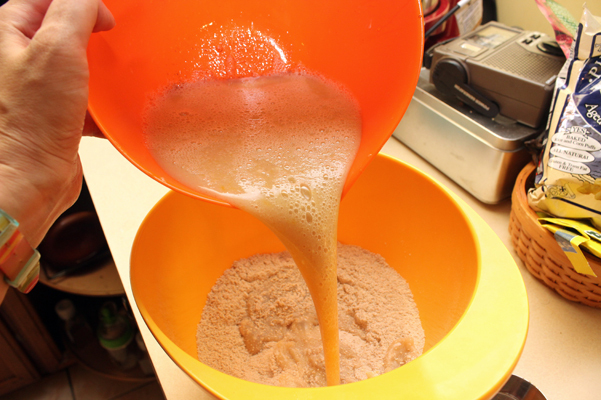 Add the liquid mixture to the dry and stir just until you don’t see any bits of flour anymore. Gently fold in the ginger and cinnamon chips. 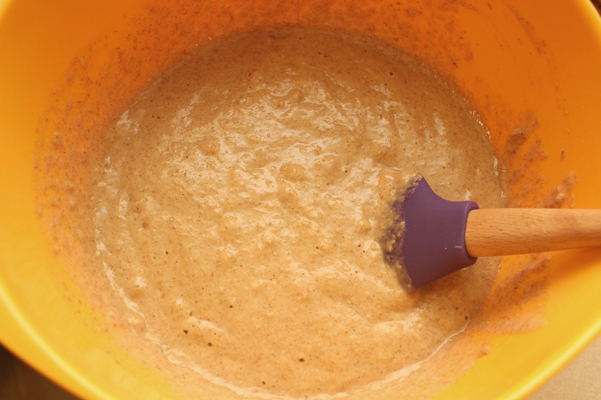 Pour into a loaf pan and bake for 40-50 minutes. Let cool in the pan for ten more minutes, then remove to a wire rack. 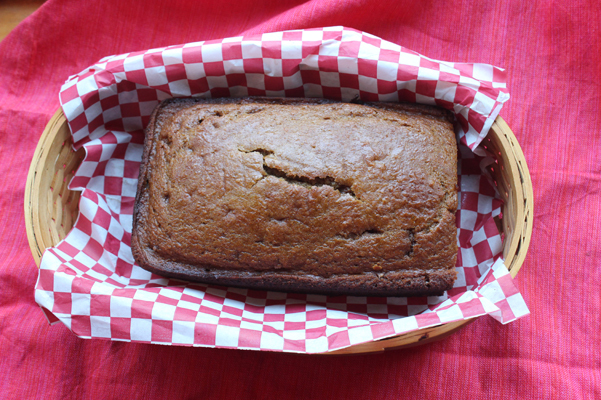 No need to wait overnight on this one, the flavors are there as soon as it’s cool enough to eat. 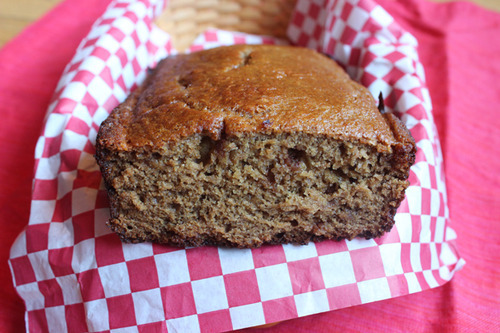 Am so glad that you tried this recipe and it turned out good. I loved it!! I can’t wait to make it again. A favorite for sure.